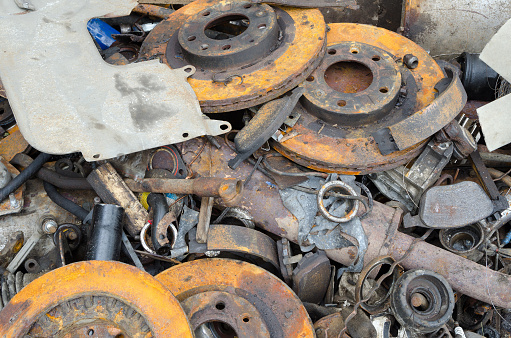 We see a fair amount of braking plates that rust away on GM trucks and SUVs as well. This used to be a fairly expensive repair but they have come up with a newly designed backing plate that allows the mechanic to replace this part without the extensive disassembly that used to be required to replace them. A lot of drivers continue to drive these vehicles with the braking plates completely rusted away and this is not recommended. It leaves all the brake hardware and emergency brake mechanism exposed to water, salt and debris, which loves to pack itself in there. If you have a vehicle with rear drum brakes it is a good idea to have those serviced every 15,000 miles, as well. This keeps the brake dust from building up in the drum, which can contribute to noise problems. When the rear brakes are serviced, the brake dust is cleaned out, the brake shoes are lubricated where they ride on the backing plate and then they are adjusted to give you a nice firm brake pedal. Fuel economy tip of the week: Replace your oxygen sensor as part of your normal preventive maintenance. According to Bosch, the inventor of the oxygen sensor, a worn or malfunctioning sensor could affect fuel economy by as much as 10 percent to 15 percent. Cars from the mid '90s and newer should have the sensor replaced every 100,000 miles. You may have to replace it sooner if it fails or you are having some kind of drivability issue. The first cars that came out with oxygen sensors in the mid '70s until the late '80s should have the sensor replaced every 30,000 to 50,000 miles.